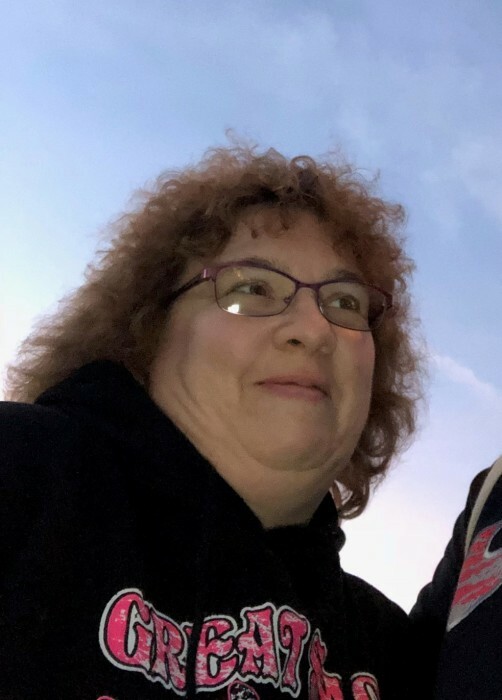 Obituary for Lynnie Renee (Eley) Druciak | Eley Mccrory Funeral Home, Inc.
Lynnie Renee Eley Druciak, 50 of Naomi, Fayette City, PA, passed away Saturday, November 10, 2018 in Mon Valley Hospital, surrounded by her family. She was born November 6, 1968 in Warrenville Heights, OH, daughter of Leonard R Eley Sr. and Wanda Weichsel Eley who survive of Fayette City, Pa.
Lynnie was employed by Walmart at their Belle Vernon store and also their West Mifflin store prior to transferring to Belle Vernon. She was a Life member of the Belle Vernon VFD and currently the financial Secretary for the fire company. Lynnie was a graduate of BVA with the Class of 1986. She is survived by her husband of 26 years, Donald A Druciak, her parents and brother, Leonard R Eley, Jr. and wife Chris of Fayette City; sister & brother-in-law Debbie & Rick Cathers, brother and sister-in-law Joseph & Judy Druciak,brother& sister-in-law David & Pam Druciak and sister & brother-in-law Kristi & Ernie Reece; her fur babies Callie and Princess and also by several nieces and nephews. Funeral Services will be held Wednesday, November 14, 2018 at 10:00 am in the funeral home with Rev. Wayne Boring officiating.